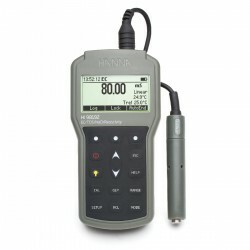 The HI 9033 is a rugged meter designed to hold up under extended use in wet, humid, dusty and muddy conditions. 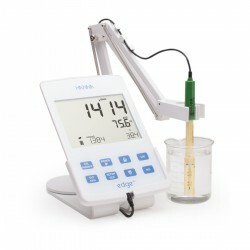 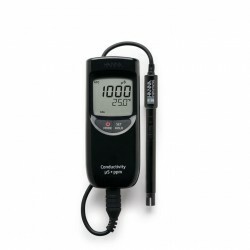 This meter has the advantage of measuring samples from deionized water to brine without having to switch or recalibrate the probe. 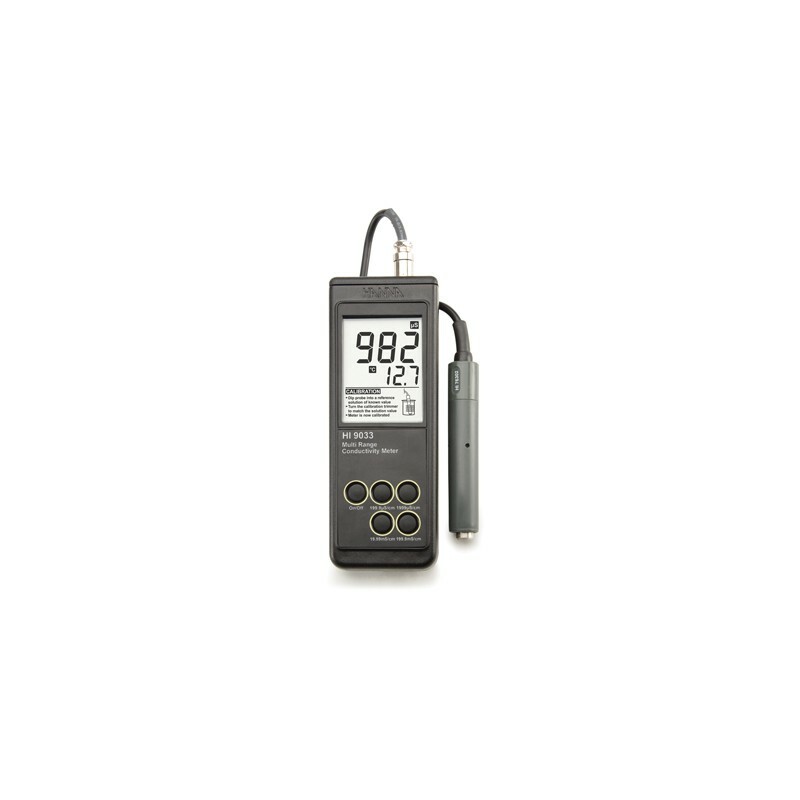 This instrument performs measurements with Automatic Temperature Compensation which adjusts for the effects of temperature on the probe. 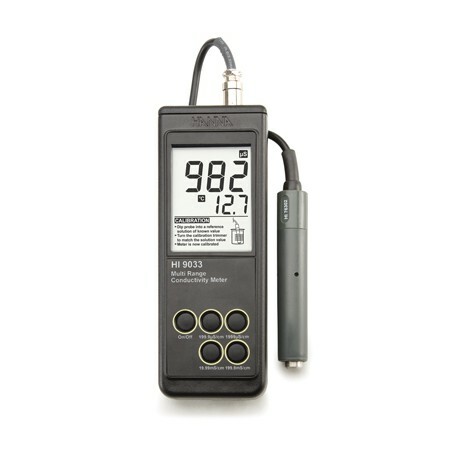 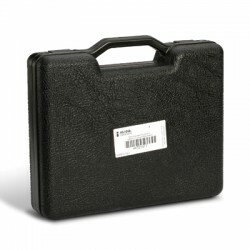 HI 9033 also feature HANNA’s BEPS (Battery Error Prevention System) technology that alerts the user when low batteries could affect the readings. 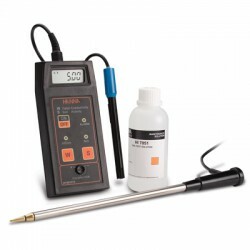 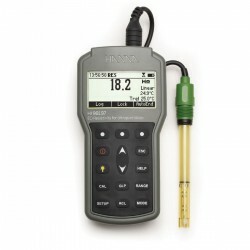 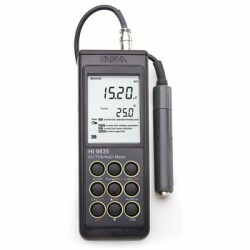 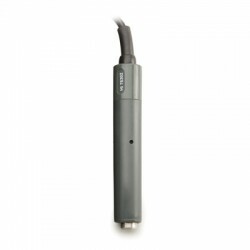 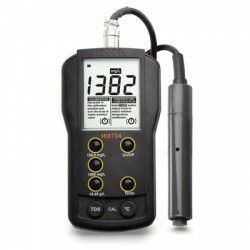 HI 9033 is supplied with HI 76302W conductivity probe, battery, instructions and rugged carrying case.